Our assembled list of games like Quake offers other fast paced shooters that can be enjoyed for their balanced but also varied multiplayer experiences. 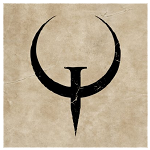 Quake is a classic in the first person shooter arena, having been around since 1996 the games emphasis on multiplayer combat that is fast paced. This fast paced nature stems from fast character movement speeds and the small map sizes that often incorporate some platform and puzzle elements. The simple mechanics of the game (such as designated locations for items to spawn) also made it very approachable in the early days of multiplayer games. Quakes freedom of movement was particularly key in its success as multiplayer game by allowing players to do things not previously seen in games before such as moving freely in the air, jumping great heights and even rocket jumping. The original Quake did also include a single player element which offered several difficultly levels and a range of enemy types, even a boss level. The games like Quake on this page focus on games with similar multiplayer elements (various weapons, puzzle like map features and fast paced gameplay). This simple but enjoyable multiplayer shooters will entertain you for hours just like the original Quake did well over a decade ago.